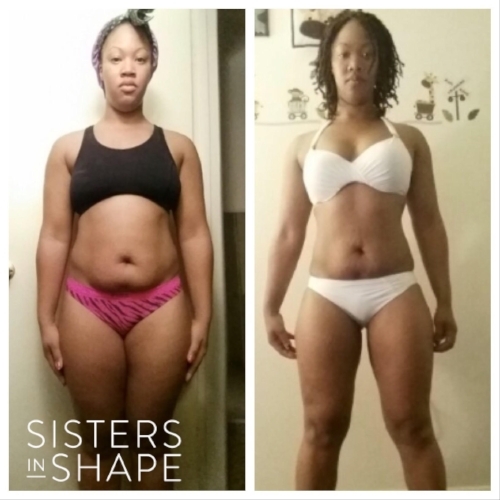 When Antoinette joined Sisters in Shape, she held a "dieter's mindset"- believing that in order to have the body she wanted, she had to do countless hours of cardio and only eat plain chicken, fish and broccoli. Through working with a SiS Trainer, Antoinette says, "I’ve learned that eating clean is easy and fun and I have to eat to lose weight and tone. I’m happier and healthier and I have MUSCLES!" Antoinette credits her SiS Coach for really listening to her and keeping her on her toes. "My SiS Coach knows what works for my body type and isn't just throwing me some generic workout." Sisters in Shape understands that there isn't one approach that works for everyone, which is why programs are customized to each client's goals. Antoinette especially treasures the sisterhood and the bonding of all the women in the SiS client community. "The support and different journeys are so amazing and inspiring," says Antoinette. "I’m so glad I invested in my health." Crystal had known for a long time that she wanted to get back to fitness and feeling like herself once and for all. A self-proclaimed yo-yo dieter, she was always trying to find the quickest way to get to where she wanted to be with no regard for the healthiest approach. She even went through a difficult period of time when she battled binge eating. A better approach was a must! While Christie says that her formal education has been helpful in her pursuits as an online personal trainer, fitness coach, and figure/powerlifting athlete, she maintains that her personal experience with pregnancy weight gain, weight loss and bodybuilding is what has taught her the most.